When the exhaust pipe out the clubs gray smoke, increased consumption of gasoline, the engine compression is lower than 10 kgf/sq cm and high oil consumption – it's time to change the piston rings. Tool: torque wrench and mandrel to compress the piston rings. As well as new gaskets under the head and the engine block. Once safely removed the head block and sump, removed the oil pump, remove the connecting rod caps with bearings. Now, lightly tapping the handle of a hammer, push up piston with the connecting rod and the top of the liner. If you are not going to change liners, do not confuse them sometimes. Clean carbon deposits from the upper part of the cylinder. It is now possible to determine the degree of wear on the cylinders. With sufficient accuracy it can be done without caliper. To do this, insert the top compression ring into the cylinder not deeper than 5 mm, and measure with feeler gauges the gap in the joint ring. Record the reading (A1). Then lower the ring to a depth of 8 – 10 mm, in the zone of maximum wear and measure (A2). According to the formula A2-A1/3.14 calculate the wear. If the cylinder wear is less than 0.15 mm, it makes sense to replace worn rings. – 0.25 – 0.40 mm second compression and oil control – all fine. Otherwise, you will have to pripisivati needle file joint. For the worn cylinder will need to focus on smaller numbers. New rings, before you install, break in the grooves of the pistons. If the ring "bites", then grind it to a fine-grained emery paper laid on glass, focusing on recommended clearances in connection with the piston. A piece of an old broken ring vycistit grooves of pistons of a Deposit, and then install rings on piston. Before installing the piston into the cylinder acceleration of the joints of the rings with a difference of 90 degrees relative to each other. Clean the surface of the block from the old strip and varnish, piston, expand the label "P" to the front of the engine and liberally apply engine oil to the cylinder and the piston. Print two rod journal of the crankshaft at the bottom dead point. Install the rod half of the pad and also lubricate with engine oil. To insert the piston into the cylinder, compress it a three-centimeter strip of sheet metal and then light blows with hammer handle to settle there. Do the same with the second piston, then rotate the crankshaft 180 degrees and install the remaining two pistons. Tighten connecting rod bearing cap, install the head unit and slide further Assembly of the engine. 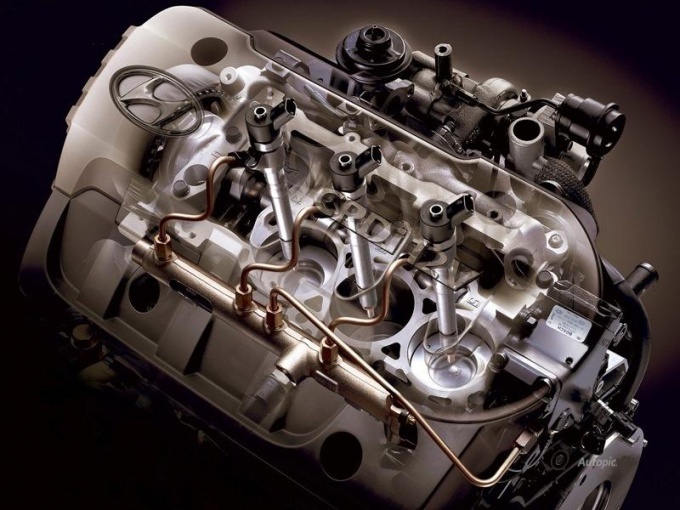 After Assembly, fill the engine oil, coolant, adjust the clearances of valves and start the engine. Objetivity engine with replaced piston ringsmi like new. Replacement piston rings, piston with piston pin and cylinder to restore compression to reduce the normal consumption of fuel and eliminate some extraneous knocks. Replace piston rings after driving a motorcycle about 10 to 12 thousand km wear rings are oil consumption engine more than 0.15 l per 100 km and an increase in the gap in the castle more than 1.2 mm. now the replacement of piston rings is to remove or to put piston rings are special pliers sold in special shops.Not a name per se you can do a small flat small screw driver and private care.Old worn rings and can break,although if you want you can do everything quickly and accurately.Still at least one compression ring can break,as the old pistons,in grooves.